Two years have gone by since Magomedsalam Magomedov became the President of the Republic of Dagestan, a territory in North-Eastern Caucasus, ravaged by clashes and religious conflicts. His ascent was unexpected. 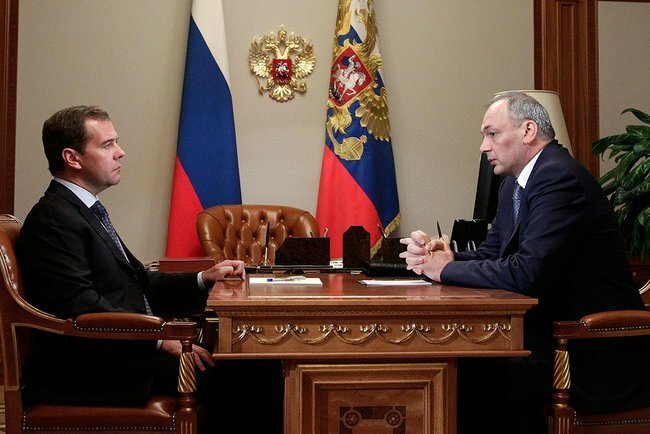 Out of the five candidates proposed to President Medvedev by the Parliament, his was considered to be among the weakest. No one wanted to go back to ‘Magomedov’s era’. Magomedsalam’s Father, Magomedali Magomedov, ruled Dagestan for twelve years, from 1994 to 2006, but had been among the top leaders of Dagestan since the times of the USSR. During his time, the influence of powerful clans (tuhum) flourished and a plain model of relationship with the federal center took shape: Dagestan did not support Chechnya in its separatist ambitions and Moscow did not skimp on money. This agreement satisfied the interests of both parties: during the second Chechen war, nobody wanted problems in Dagestan, which borders with Chechnya for half its territory. Thus, Moscow got along fine with the money, generously hoarding Dagestan’s budget without interfering in internal affairs. It was this model, indeed, that led to the crisis that today afflicts the biggest Republic of Northern Caucasus. Against the considerable subsidies from the federal center, reaching 98% of the Dagestan budget – but actively contributing to the state budget in the past – and now accounting for 75%, the local élites have invested on the ‘war on terrorism’. For the first time, a special department was created for the ‘fight against extremism and terrorism’ and a law adopted. This law is unconstitutional and prohibits wahabism (an Islam movement that the government associates with terrorism). This has brought new powers to the Internal Affairs Ministry, enlarged staff and turned anti-terrorism operations into a profitable business: all items that have increased costs and subsidies. As a consequence, each problem of the region, from corruption to clan power, from crime to the economic crisis, has been pushed into the background in the eyes of the élite and ousted by the threat of wahabit terrorism. However, when two years ago the Kremlin chose Magomedsalam Magomedov, many in Dagestan hoped that the arrival of a successful entrepreneur, young and educated, would translate into change. The fact that he could correctly read prayers meant a lot, in a land ravaged by religious conflicts. Most of all, people were expecting the beginning of an honest an open dialog between government and society: ‘consolidating society, strengthening the rule of law, re-establishing order and developing a dynamic economy are the main objectives of our future work’, Magomedov had declared at his inauguration ceremony. His moves confirmed his words. Various organizations were founded which comprise representatives of Salafites, including "Ahlu Sunna"; a commission was set up for the re-integration into society of those rebels who spontaneously turned themselves in to Authorities; with the support of the government, round tables were held with experts and human rights NGOs; the Dagestan Peoples Convention was called and held. Rizvan Kurbanov was appointed Deputy Prime-Minister. Rizvan Kurbanov is a man whose cell phone number is in the hands of all human rights defenders in the Country and who many times has helped families look for their disappeared relatives. Also thanks to him, the number of abductions and sentences without a trial went down. The most important thing, though, is that subjects that were taboo are now being publicly discussed, such as the arbitrariness in the conduct of the law enforcement squads and the persecution of religious believers. The dialog has thus begun. Along with the ‘dialog’, though, also the influence of the National Anti-Terrorism Committee (NAK) increased. The NAK is a federal agency whose main purpose is to combat terrorism. At any public event, whether a session of the Human Rights Committee with the Russian President or the Dagestan Peoples Convention, it was always possible to see men in plain clothes. They were NAK agents: officials of the Russian security services operating in Dagestan. It was later discovered that all social initiatives falling under the local government’s scope were held under strict supervision of members of the Russian services. The federal police had literally forced the local élites to organize public initiatives and it has borne its fruit. The Dagestan Peoples Convention had not been held for 10 years and had been presented as a national unification act but turned out to be a meeting of activists from the leading party and members of the élite circle. The round table of the human rights defenders with the participation of President Medvedev did not lead to any concrete conclusions. The commission for the re-integration of rebels, ruled by representatives of the law enforcement squads, showed to have very little influence on the armed conflict resolution. And Deputy Prime-Minister Rizvan Kurbanov, ‘the last hope against the tyranny of the security forces’, changed jobs and is now a deputy of the Russian Duma. This policy triggered strong reactions among the Salafites, people felt betrayed and took to the streets. An unheard of demonstration with 5.000 people took place in the capital’s center. Demonstrators demanded the end of abductions and sentences without a trial. A month after the demonstration, the director of the independent newspaper “Chernovik” was killed: Khadzhimurad Kamalov was not only a reporter, but also an activist, one of the few people who could mediate in the negotiations among the parties of a divided society such as that of Dagestan. Meanwhile, Dagestan keeps arming up and a new battalion of 800 soldiers has been established: these soldiers are specifically recruited to combat Islam militants. In the Country’s five most difficult areas, new paramilitary units have been recently established ‘to monitor the situation’, involving the Ministry of Internal Affairs, Russian security services and internal police forces. In Dagestan, a dozen federal and local police corps co-exist, though they do not trust each other and they often do not coordinate their actions. And all social and economic problems have remained neglected, justified in light of the complexity of the situation caused by extremism and terrorism. Magomedsalam Magomedov still has three years till the end of his term. There is time to try, at least, to put into actions the nice words on consolidating social dialog. And the demand for dialog in Dagestan - a region with a such a fragile condition and many young people socially involved - has never been greater.